A team of Hokkaido University scientists studied the molecules involved in mitochondrial movements within highly invasive breast cancer cells. They identified a pathway that ultimately leads to the dispersion of these energy-generating organelles towards the cells' periphery, increasing cancer invasiveness. 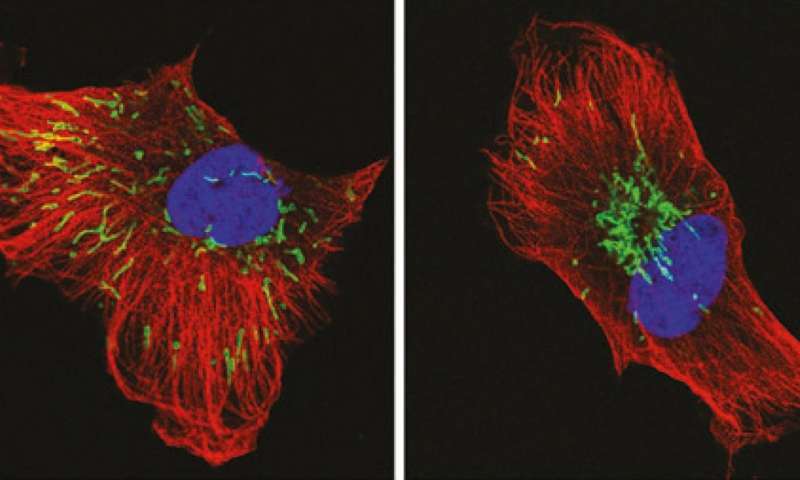 When this pathway was blocked, mitochondria aggregated within the cell's center, where they started overproducing and leaking reactive oxygen species (ROS)—unstable oxygen-containing molecules. ROS is known to enhance cancer invasiveness but in excessive amounts, it can lead to cancer cell death.